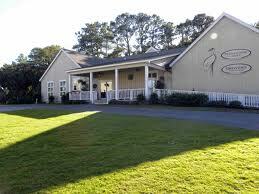 Easter weekend on Edisto promises to be sunny and spring-like and full of things to do. To begin with, Good Friday services will be offered at the variety of different churches all over the island. On a similar note, any visitors participating in Lent can take advantage of the local seafood served at almost every restaurant in the town of Edisto Beach. Abstaining from meat on Fridays is no big deal when there is fresh Edisto shrimp, crab, and oysters to be had. On Saturday the annual Art Guild Spring Show and Sale will take place at the Edistonian General Store on Highway 174 from 10 a.m. to 4 p.m. This event features the work from local artists and gives patrons a chance to take home authentic pieces of art or crafts inspired by Edisto. On Sunday, Easter services will be available at the various churches. There will also be a sunrise service in the Pavilion parking lot for anyone interested in celebrating Easter on the beach. Grovers Bar and Grill located at 21 Fairway Drive is having an Easter brunch buffet from 11 a.m. to 3 p.m. This buffet will feature quiche, smoked salmon, peach French toast, pasta salad, an open bar, dessert menu, and so much more. The weather over the weekend is forecasted to be bright and sunny with a high of 69 degrees on Saturday and 75 on Easter Sunday. If spending Easter weekend on Edisto is one of your family traditions, share your experience with us in the comments section!